Thank you for your interest in Pinewoods Scottish Sessions 2019! We are planning a great session and we hope you will be able to join us. Please fill out a separate application for each camper. A $50 deposit is required per session ($100 for both sessions) for each applicant, including those applying for financial assistance, to reserve your place at camp. Deposit is nonrefundable if your application is accepted. Full payment is due by May 1, 2019. Mail a check or money order to the address given at the end of the form. This address will also be given in your confirmation email. Electronic payment. You may submit your deposit electronically at the end of the application form. Applications submitted by March 1 will be given first priority, provided the deposit is received by March 15 (unless prior arrangements are made). Those submitted later will be considered in the order in which they were received. If there are more applications received than there are spots at camp, acceptances will be determined by lottery. A separate lottery will be run for each session, if needed, and campers who apply jointly will enter the lottery together. Campers from last year who applied by the deadline, were waitlisted, and were not removed from the waitlist will be admitted automatically. You will be notified of your acceptance or waitlisting by late March. If you haven't heard from us by April 5, please contact us. Scottish Pinewoods is open only to applicants aged 18 and older. Part-time attendance cannot be considered. No visitors or pets are permitted at camp. If you have any questions about Pinewoods or the application process, please visit our website at http://rscdsboston.org/pinewoods-scottish-sessions.html, or contact Laurie, Ellen and Kat at scdpinewoods2019@gmail.com. We hope to see you in camp in 2019! All pricing includes the aforementioned $50 deposit per session, payable electronically or by check or money order. If you are accepted to camp, the balance is due by May 1, 2019. RSCDS members, please subtract $25 from the relevant price to account for membership discount. This discount is the same whether you are applying for one or for both sessions. RSCDS membership must be active as of July 7, 2018. If you would like to apply for membership in the Boston branch, please fill out the online application here. The electronic payment price reflects a 3% credit card processing fee. The processing fee is applicable to the balance amount only; there is no processing fee on the deposit amount. Please indicate the person with whom you are applying jointly. Please check the following boxes if you do NOT want us to list these in the camper directory. All campers are expected to help out with some camp chores, but if you'd like to be considered for a larger role, either this year or in the future, let us know! Certification is required for first aid and for lifeguard. If there is another camp role (or roles) which you would be interested in, please list them below. 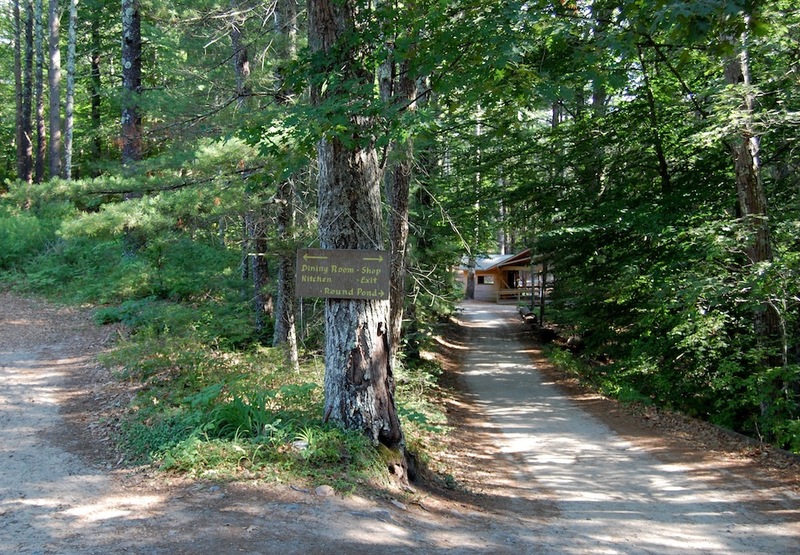 Both RSCDS Boston and Pinewoods Camp offer financial assistance and scholarships to help defray the cost of Pinewoods. If you are interested in any of the following, we encourage you to apply. In exchange for helping out as a dishwasher after meals (two meals per day), recipients will receive a 50% reduction in their attendance fees. Work exchange decisions will be made by co-chairs for Scottish Sessions I and II. NGI scholarships are available to qualified candidates from ages 18 through 30 and are geared toward newcomers, potential leaders, and those with financial need. Each recipient is expected to take full advantage of classes and activities. After camp, recipients will each send a follow-up letter or essay describing the experience. More information about NGI scholarships can be found at http://www.pinewoods.org/camp-sessions/ngi-scholarship-info. NGI decisions will be made by co-chairs for Scottish Sessions I and II. Please indicate whether you would like to apply, and we will be in touch with you to follow up. The Scottish Dance and Cultural Association of Boston (SDCEA) administers several scholarship funds which can provide funding for Pinewoods. The Boston Branch Scholarship Fund and the Marianne Taylor Pinewoods Fund are available only to Boston Branch members. Members and non-members alike are invited to apply to the Ed Rawson Fund. You can apply online at form.jotform.com/90447293425157 or print out the scholarship application form at rscdsboston.org/pdf/SDCEAApplicForm.pdf and mail it to the address listed. For further details on eligibility and contact information, please visit rscdsboston.org/pdf/SDCEAFundDesc.pdf. ESCape is jointly sponsored by RSCDS Boston and CDS Boston Centre and is an exciting session bringing you the best of English Country, Scottish Country, and Contra dancing. It takes place July 1 - July 5, immediately before Scottish Session I. For more information, visit http://rscdsboston.org/pinewoods-esc.html. Family Week is sponsored by the Country Dance and Song Society (CDSS) and features dance and music activities for the whole family. The program includes English country and ritual dances, American squares and contras, storytelling, singing, and crafts. It takes place July 13 - July 20, immediately after Scottish Session II. For more information, visit http://www.cdss.org/programs/dance-music-song-camps/camp-weeks. themselves courteously and with appropriate respect for other participants. of the Executive Committee, who will address the issue. from future Branch events at the discretion of the Executive Committee. participants in the events it sponsors comply with Massachusetts law. I have read and agree to abide by the above policy regarding participation in RSCDS Boston Branch events. Since you are applying for one session, a $50 deposit is required for each applicant, including those applying for financial assistance, to reserve your place at camp. Applications will not be processed until the deposit is received. You may pay the deposit by check or electronically. There is no additional fee for electronic payment of the deposit. The electronic payment fee will apply if you elect to pay your balance electronically after you are accepted to camp. Please indicate how you wish to pay your deposit. Since you are applying for both sessions, a $100 deposit ($50 per session) is required for each applicant, including those applying for financial assistance, to reserve your place at camp. Applications will not be processed until the deposit is received. Your deposit must be received by March 15 in order for your application to be given first priority. Please make sure to write your full name (exactly as you entered on the application above) on the check so we may properly credit your account when we receive it. If you are paying more than one deposit by check, please indicate on your check the names of all campers for whom you are paying. You will also receive an email with these instructions when you submit your application. Thanks for applying to Pinewoods Scottish Sessions 2019. We will be conducting the lottery, if necessary, in mid-March and will be in touch by the end of that month. We hope to see you in the summer! Since you have chosen to pay electronically, your credit card will be charged when you submit this form.